Digital marketing has indeed become an integral part of a promotion for any business and unfortunately, you may not survive in the current hustle and bustle without it. It has become a game of numbers and to win it against other competitors you need be aware of the game. This number game involves the number of posts you need to do every day and every week. The number of platforms that are providing the required result for you and the number of people who are searching for target keywords. Keeping the numbers in mind while running your business will definitely enable you to make data-driven decisions. These decisions will eventually help you gain the upper hand against your rivals and win the game. However, where are you going to find the digital statistics that are going to take your business to newer heights and energize your marketing strategy? Can be a difficult thing! So, we at prepostseo.com have surfed the internet day and night to search for some important digital marketing statistics that will enable you to take better and timely decisions regarding your promotion. We have also explained what should be done or what you need to do accompanied by each stat. This will definitely help you in understanding and making a better use of the data and statistics provided. Lets now start the show and dive into the helpful numbers. According to a careful study by Google, there is more than five million terabytes of data on the internet. Out of this humongous data, Google has only indexed about 0.04% of it. Yes, that’s right the total amount of information indexed by Google is not even 0.5% of the entire world wide web. In 2017, the search giant knew of over 130 trillion web pages. This hints towards the fact that how enormous is our internet ranging from dark web to the completely unknown. You can’t afford your website to be unindexed. Right? For this very purpose, you need to develop awesome content, make sure all your on-page and off-page technicalities are done properly and then generate sitemap for Google Console. Around 75% of the net users never go beyond the first page of the search results. How often have you gone to page 2 of search engines while searching for something? Not a lot, right? Same is the case with your targeted audience, they won’t bother to go to the 2nd or 3rd page of the results. Normally, a user always finds the desired information from the first page. Make your best effort to be on the first page of the search results for your primary keyword. It will helps to increase SEO score. People don’t have the time to go to 2nd page and obviously pages 27 or 33 are useless for them. To be on the first page of results, make sure your content is quality oriented and your backlink juice is flowing. Google makes changes to its search engine algorithm roughly 500-600 time per year. Realistically a large majority of these changes don’t have much effect on the rankings. But, there are chances as well that a couple of big updates also happen during the year. Most of Google’s algorithm changes and updates are unnoticed but the main updates surely become the talk of the town. SEO requirements need that you are continuously updated with the newest changes and other strategies. For your surprise, the techniques for ranking higher that were functional a month ago may not be valid anymore. To keep yourself updated according to the current techniques you need to read the latest blog from the industry leaders. Also, be alert to Google’s new announcements. Above all, you need to understand that Google’s first and main priority is and always will be the user. Companies around the world are estimated to spend a staggering $79 billion on Search Engine Optimization by the year 2020. If you think you have invested enough time and money in SEO and are fed up of it, these stats should be able to open your eyes wide awake. You don’t want to see your competitor take the number 1 spot in SERPs. Right? It can be done if they invest in their SEO. The biggest reality is that SEO is one of the digital marketing techniques that are offering great results and smart marketers have already known this reality. Hence they are pumping money in it to get the desired results. If you aren’t putting enough efforts regarding your SEO and Digital Marketing, after some time you may not be able to even compete with others. Considering the fact that search delivers more than 90% of all the web traffic, beating social media by more than 300%, you just need to keep going. Never shy away from hiring expert SEO professionals and adding compatible tools for boosting your strategy. Also, invest in a content writer who is able to curate quality oriented, informative and SEO optimized content. More than 70 percent of the marketers believe that the creation of quality and relevant content is one of the most effective SEO tactics for gaining desired results. The facts explained above should be enough to direct your attention to the creation of high quality and relevant content. Also, a number of your market competitors are gaining great results based on content. For better marketing and to gain a reputable position in the SERPs, you will have to start creating content that matters; before its too late. As of 2018, only 15 percent of companies are making use of Artificial Intelligence (AI). However, 31 percent are planning to integrate it in the next year. You may not be aware of it yet but, Artificial Intelligence has started revolutionizing virtually all aspects of businesses. These include marketing, production and many more. According to PWC, AI has become one of the eight essential technologies for businesses in the future. A 2018 report of Venture Scanner Report says that over 1650 AI startups and private companies have accumulated over $12 billion of funding up till now. In case your business and enterprise are not positioned to win or even survive in the futuristic world of Artificial Intelligence, sorry to say you are lagging behind. You need to be proactive and look for those opportunities that your digital marketing can utilize Artificial Intelligence for the growth of your business and enterprise. 94 percent of all the web traffic comes from Google. To win the game of SEO, you will have to oblige by all the rules of Google. In 2017, a report published by NetMarketShare stated that search engine giant, Google accounted for around 80 percent of the entire global desktop search traffic. It was preceded by Bing at 7.27 percent, Baidu at 6.55 percent and Yahoo at 5.06 percent. First start the process with google page ranking tool. While you create content or perform different SEO tactics make sure you are fully aware of Google’s prominent ranking factors. 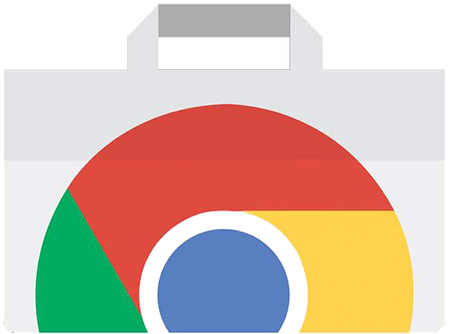 You should also use helpful tools like Google Search Console that can enhance your overall digital strategy. Those companies with regular blogs posts are the ones with more traffic, more leads, more site links and a staggering 434% more indexed pages as compared to those who don’t blog. B2B marketers who heed to blogs tend to receive 67% more leads. Those companies that blog get 97% more site links as compared to those who don’t blog. Also, companies who have a blog on their website and regularly post fresh content, and use plagiarism checker tool to have 434% more indexed pages than those companies who don’t have a blog. Understandably so, companies having more indexed pages are going to get more leads too. The simple formula for success is to just keep on blogging. There is no point of waiting for a miracle to happen and give the results that you are looking for. Start a blog on your website today and just keep posting fresh, unique, quality oriented and informative content. Just don’t stop. There are a number of advantages associated with blogging that you may not be aware of until you start your own. The key to success, in this case, is your persistence; how long can you go with it? Voice queries have become a norm and their percentage has increased 3400% from the year 2007 to 2017. Last few years have seen the emergence of breakthrough voice technologies like Google Home, Amazon Echo Show and other smart speakers and voice-first assistants like Google Assistant. All these inventions have made voice search an integral part of today’s life. The trend is still rising at a rate of knots. You have to act now and act fast to enable your web presence to take the fullest advantages of this revolution. If you don’t act now, you will be left behind in the race and your competitors will take a clear edge over you. LinkedIn has become an extremely effective social media platform not only for securing an audience’s engagement but also for delivering content. According to Smart Insights and Clutch, the social media giant, Facebook gives the highest social value for B2C which is 96%. While LinkedIn, on the other hand, is known to provide the highest social value for B2B which stands a high percentage of 93%. If you are targeting B2B audience then you need to share all your content on LinkedIn and if you are targeting B2C then Facebook is the go-to option. 80 to 90 percent of the people, who look to shop online, read the reviews before making a final purchase. Are you one of those people who search for a service provider or company online before doing business with them? If you have done it, you are not the only one. Almost all the online buyers do the same. Make sure that your presence on the web is flawless. Write the name of your business in Google’s search bar and check out the reviews about you that people have given. While people who look to buy a product or service from you, they will definitely type your business name in the search bar of Google. If the first page contains bad and negative reviews about your company or product/service, then you will lose your customers and your business is going to decline. If a user gives a negative review about your company or product, make sure you handle it in an amicable and friendly way. More than 70 percent of the digital media time is spent on mobile. A finding by AdWeek says that mobile constitutes 7 out of 10 digital media minutes. Also, the usage of smartphone apps accounts for half of the digital time. According to a Smart Insights 2017 report, those users who face bad mobile user experience do not visit or buy from that specific business in the future and the percentage of these people is 60 percent. The rest of the 40 percent visitors may skip to another search result if they don’t find the first one as mobile friendly. Mobile responsiveness is essential for your website. Firstly, make sure that your site is fully responsive. Secondly, make your site load faster. According to a 2017 report by Think with Google, a page that loads in 10 seconds experiences 123% higher bounce rate as compared to a page which loads in 1 or 1.5 seconds. According to a finding, 18% of organic clicks are at the top position of Google. 10% of the organic clicks go to the second position and 7 percent go to the 3rd position. We are lucky enough to find the relevant results on the first page and even in the first few sites shown by Google. Now you must be aware that the difference between the first and second position is quite astounding. 8 percent of a billion searches is still a lot. The same Slingshot study shows the results for Bing as well. It shows that 9.7 percent of organic clicks go to the first position, 5.5 percent organic clicks are placed at number 2 and 2.7% organic clicks go to the 3rd position. If you are doing Search Engine Optimization, always aim for the top three positions. This should be the strategy for 5 of your primary keywords. On the other hand, you can accept a bit lower positions when it comes to secondary positions. Make sure you are backed up with up to date stats and all your decisions are based on the strategies and tactics that have been proven as effective and result oriented. Another important thing to do is to keep a track of which tactics are working for you and which have backfired. For this purpose, you can use helpful tools like Google Analytics, Google Search Console or customized tools made by prepostseo.com just to ease your processes.